It’s an exciting time for us. 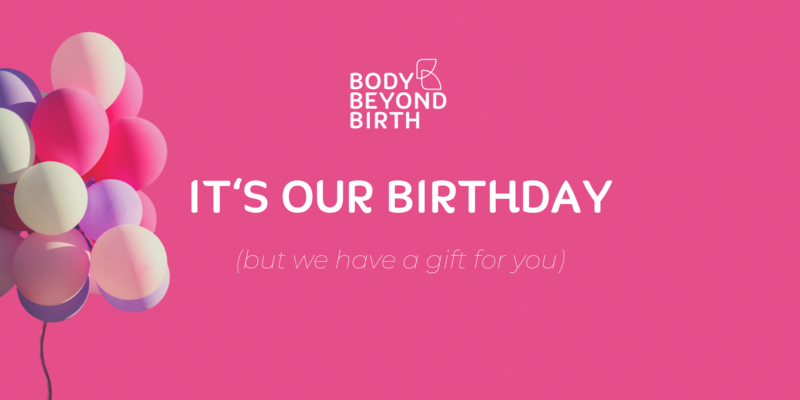 It’s our 5th birthday, and to celebrate – we want to make our programs accessible to even more Mums and Mums-to-be. What does that mean for you? We’d love to invite you to join us! We’ve got you covered for all of your pregnancy and post-natal Pilates and yoga needs. For a limited time, we’re offering all 4 of our Programs at the discounted price of $99.00. Say whaaaat? This amazing offer will save you up to $66.00, and besides the incredible savings – there’s so much more BBB can offer you. As fellow mums we understand the importance that with the many different stages of our babies development, mothers face significant physical and mental changes as well. We have broken down these stages of a mother’s journey and her changing body, and turned this into four amazing programs. These programs can be done in the privacy of your own home – as we know the hustle and bustle of getting the kids organised and out of the house is not for the faint hearted! All sessions are 20 minutes long suiting you to be short, sweet and flexible in your busy day. Safely supporting you from bump to birth is our Pregnancy Program. Because we know that staying fit, strong and healthy during your pregnancy is so important … but can often feel like figuring out a puzzle in a minefield. During this new season of your life, figuring out what to do and how to stay fit, healthy and well for yourself and your unborn baby can be overwhelming. Within the BBB Pregnancy Program we provide you with safe, pregnancy-friendly exercises crafted to promote movement and support your back, abdominal muscles and pelvic floor. As you transition from pregnancy to your motherhood journey we have formed the BBB Level 1 program. This safe beginner-friendly Pilates-based program is made just for postnatal women. Whether your baby is ten days or ten years old, the level one program is a safe and beginner-friendly pathway to healing, rebuilding and nurturing your body beyond birth. Your body needs assistance to internally recover from pregnancy, whether this be your back and pelvic floor muscles, abdominal separation or a C-section recovery. For the ideal combination of safe yet challenging Pilates, the Body Beyond Birth Level 2 program is a perfect fit to balance out your existing cardio. This program has everything in moderation, for you as a mum who wants to be a strong and positive role model for your family. The holistic Pilates-based fitness program that compliments your already active lifestyle. You’ve have some prior experience with Pilates or have completed other BBB programs. You’ve have recently had a normal vaginal birth, with okay pelvic floor muscles and if you have an abdominal separation, it is being treated. If you are already an advanced participant of the BBB community, or a previous gym junkie before the birth of your baby, then our final stage within Body Beyond Birth is our Level 3 Program, made by fit women for fit women! Push your strength training to the next level with challenging at-home or on-the-go Pilates workouts designed just for you. You’ve stayed fit during your pregnancy by strength training and/or practicing Pilates at least three times a week. You’re able to follow a safe but super challenging Pilates-based program under the guidance of a physiotherapist. As fellow mums, it is our ambition to inspire and assist other mothers to make their motherhood journey one filled with strength, confidence, health and happiness. Throughout our 4 programs there is sure to be one to fit your needs. If you aren’t sure which program is right for you, or you have questions – please feel free to reach out to us at [email protected] so we can help. The one thing to remember in all of this is that you are not alone – join our BBB Babes forum to meet other mothers to inspire and get the most out of your motherhood journey. Don’t just take our word for it! Join us and see for yourself. Are Pilates classes good for pregnancy and post pregnancy exercise?